Nora, the popular girl and happy consumer, witnesses a horrific bombing on a shopping trip with her mother. In Nora’s near-future world, terrorism is so commonplace that she can pop one little white pill to forget and go on like nothing ever happened. However, when Nora makes her first trip to a Therapeutic Forgetting Clinic, she learns what her mother, a frequent forgetter, has been frequently forgetting. Nora secretly spits out the pill and holds on to her memories. The memory of the bombing as well as her mother’s secret and her budding awareness of the world outside her little clique make it increasingly difficult for Nora to cope. She turns to two new friends, each with their own reasons to remember, and together they share their experiences with their classmates through an underground comic. They soon learn, though, they can’t get away with remembering. Another day...another dystopian :) If you didn't catch the blog post back at the end of March, I've been running a dystopian book club group with a class of 8th graders. It's been a blast and they've been cranking out the books (some kids have read over a dozen!) It's definitely true that dystopian is a genre that is hot right now with adolescents - and I've always loved it too. So, I've been trying to alternate dystopian books with my other genres so that I can keep recommending new ones for my students and participate in the reading time and conversations. I had seen an ARC offer for MEMENTO NORA and requested it because I knew the dystopian book club was coming. I'm glad I did as it's a short, quick read, and a unique take on the genre. Mostly my students liked it, although parts were a little confusing for some of them. I liked the story quite a bit. The whole idea of a society in which people take pills after traumatic events in order to forget about them is intriguing. The idea of someone choosing to fake taking the pills in order to know what's really going on is even more intriguing! This story is told in three voices in alternating chapter perspectives. I really liked Nora and Micah, not so much Winter - she confused me a little bit. Overall, I felt the character development was a little shallow and I missed the reasons for the world having come to this. It felt a little underdeveloped because it was so short and such a quick read - I liked the concept enough that I really wanted more substance to it. The parts of the overall concept, the idea that Nora finds out there's more going on in her family than she thought, the way Micah engages with Nora in the first place, and Winter's grandfather were all interesting to me though. Everything came together in the end, and it was surprising how some people were connected that I didn't expect throughout. The concept of this world and the way the characters grow up were the elements that I enjoyed the most. I'll probably be reading the next book in the series, THE FORGETTING CURVE, I just hope for a little bit more depth to the characters as we grow with them. Hi! I'm Jillian Heise (pronounced Hi-Z). 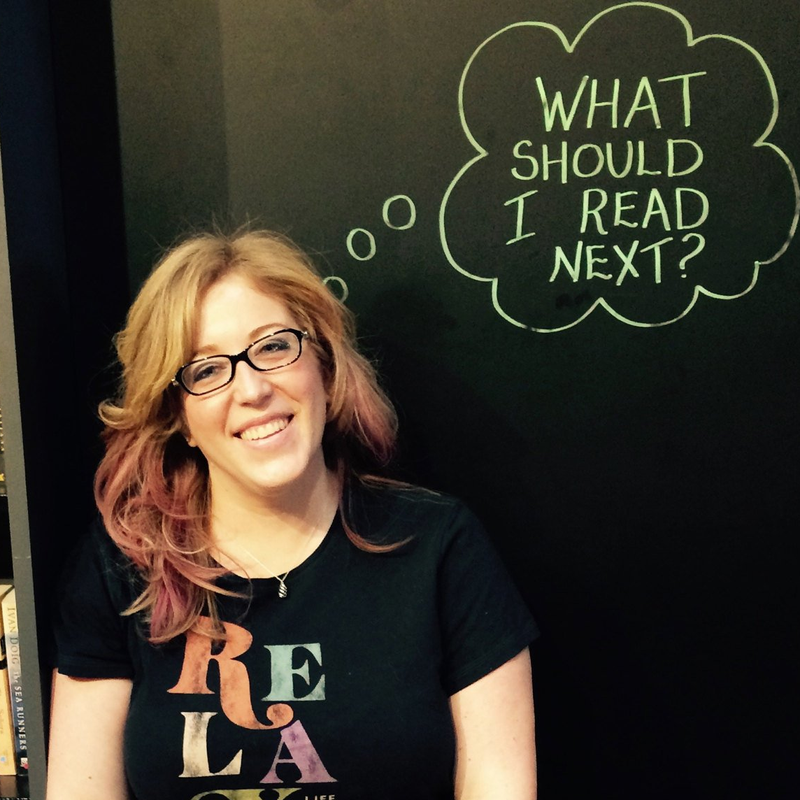 I'm a K-5 Library Media Teacher in southeastern Wisconsin. 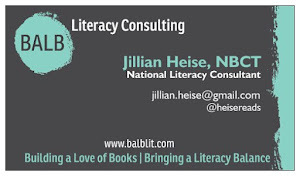 I previously taught 7th & 8th grade ELA in the Milwaukee area for eleven years & am National Board Certified. 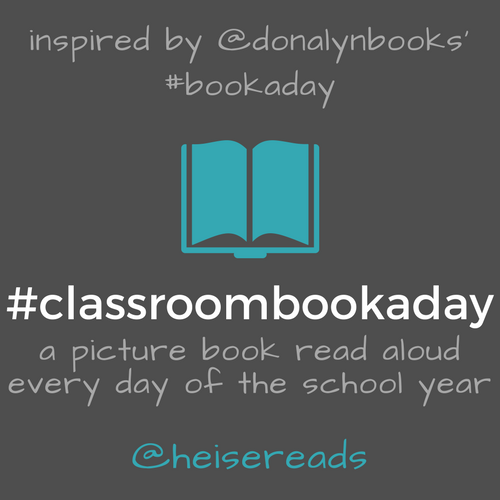 I am a passionate advocate for student choice in reading and the power of shared stories through #classroombookaday picture book read alouds. I also bring my literacy expertise and knowledge of books to my role as Chair of the WSRA Children’s Literature Committee. Content on Heise Reads & Recommends by Jillian Heise is licensed under a Creative Commons Attribution-NonCommercial-NoDerivs 3.0 Unported License. In accordance with FTC regulations, this policy is valid from 1 August 2010. This blog is a personal blog written and edited by Jillian Heise. At times, I receive books for free from publishers or authors in exchange for an honest review. The views and opinions expressed on this blog are purely my own and I am not compensated for opinions or reviews.